Mercedes-Benz E-Class Saloon– Supreme Elegance. 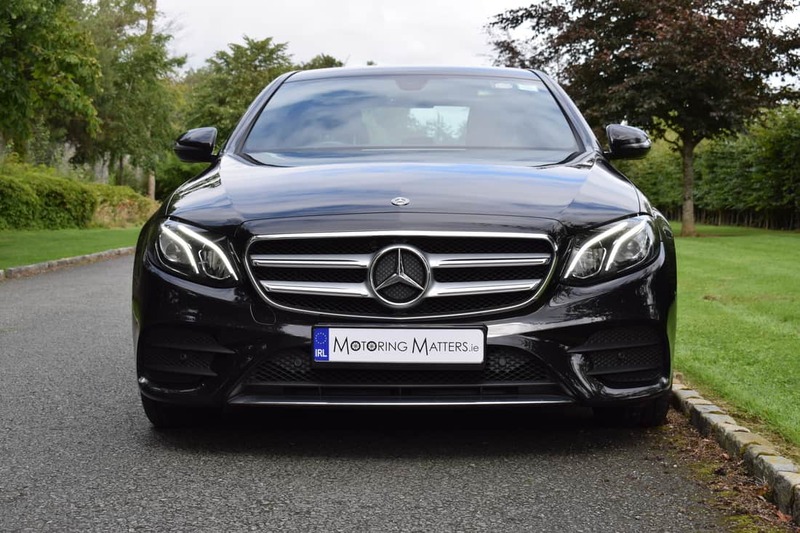 The stunning, fifth-generation, Mercedes-Benz E-Class was launched in 2016 and was immediately hailed as a ‘small S-Class’ due to similar styling to the German manufacturer’s luxury flagship model. This was really wonderful news for buyers of the new E-Class, as it set new standards in its class for comfort, refinement, elegance and technology. 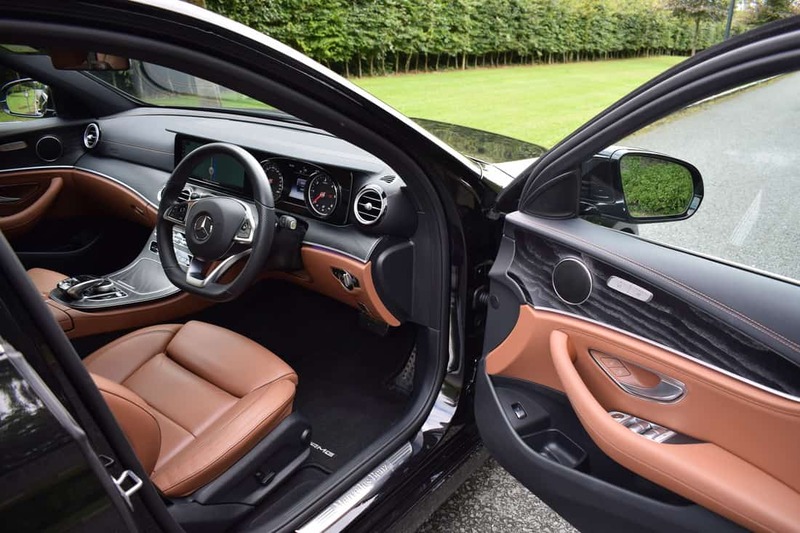 S-Class-inspired technology has made the new E-Class safer than ever before, while impressive ride quality stems from the E-Class’ weight loss, having shed an average of 100kg over its predecessor. Aluminium body panels have been used, meaning the E-Class delivers unparalleled comfort, even over poor road surfaces. As with the previous generation E-Class, the current model is offered in four body styles – four-door saloon, estate, coupé and convertible, with striking good looks guaranteed – no matter which model you choose. The status of the E-Class is reflected in the vehicle’s powerful and stylish front end. 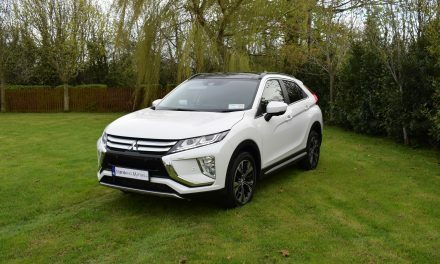 The long, forward sweep of the bonnet, upright headlamps and emphatically broad front aspect with large air intakes, all promise refined sportiness. The sporty lines, with the high, well-judged beltline and windows that appear to be set lower, give the saloon an almost ethereal air. A coupé-like roof-line flows elegantly into the broad shoulders and into a distinctive rear end that firmly underlines the car’s leadership aspirations. A combination of optional driving assistance systems is celebrating its debut in the E-Class. These innovative systems are not only able to maintain automatically the correct distance to vehicles ahead on all types of road – motorways, country lanes or in the city – but also to follow in their tracks, at speeds of up to 210 km/h. In many driving situations there is no need for the driver to intervene either by braking or by accelerating, while significant assistance is also provided with steering. Active Speed Limit Assist automatically heeds recognised speed limits and regulates the vehicle speed of its own accord to reflect these, so noticeably taking pressure off the driver. This is a milestone on the road to autonomous and accident-free driving. The E-Class defines driving safety more comprehensively than ever before. The standard-fit Active Brake Assist, for instance, can also react to pedestrians crossing the road ahead of it. The radar sensors make it possible to analyse the movement of pedestrians near the vehicle and constantly measure whether a detected pedestrian is on a collision course with the vehicle. The enhanced functions of the Active Brake Assist system with cross-traffic function form part of the optional Driving Assistance package. This combines innovative safety and assistance systems that can now take even more strain off the driver and improve protection for both the vehicle occupants and other road users. There are three main trim levels available in the E-Class – Avantgarde, Exclusive and AMG-Line, while a full-breed Mercedes-AMG model is also available for die-hard performance car enthusiasts. The vast majority of E-Class customers will opt for a diesel powered engine, but a petrol/electric hybrid is available. Badged E350e, prices for the hybrid E-Class start from €68,400 (ex-works). Two turbo-diesel engines are available – a 2.0-litre with either 150bhp (badged E200d) or 194bhp (badged E220d), and a 3.0-litre with 258bhp (badged E350d). 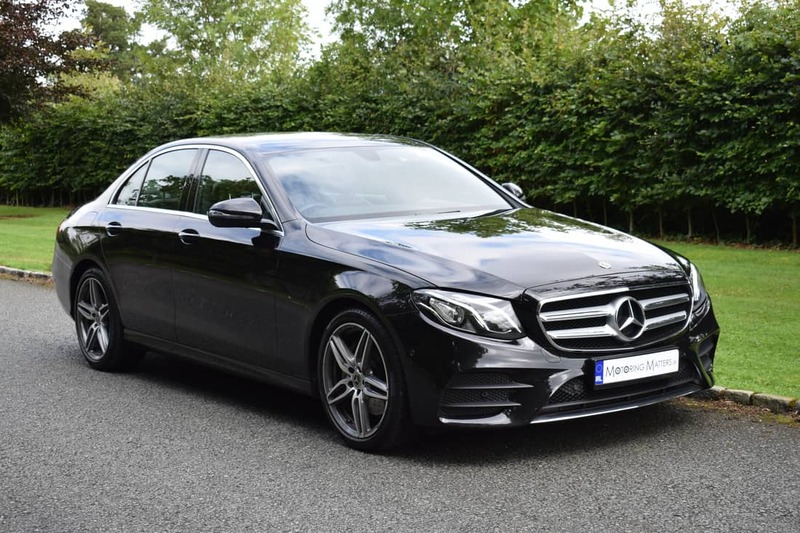 A wonderful smooth-shifting 9-speed automatic gearbox comes as standard across the entire Mercedes-Benz E-Class saloon range and adds a real sense of occasion to every journey. Rear wheel drive is standard, with ‘4MATIC’ (4WD) available in E220d guise. 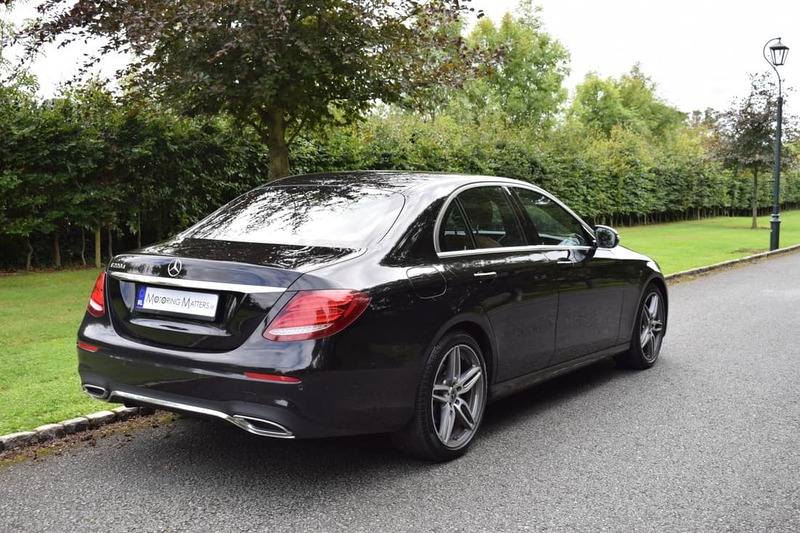 My test car was a new Mercedes-Benz E220d AMG-Line, 4-door saloon, finished in Obsidian Black metallic paint with luxurious Nappa Leather in Saddle Brown for maximum impact. 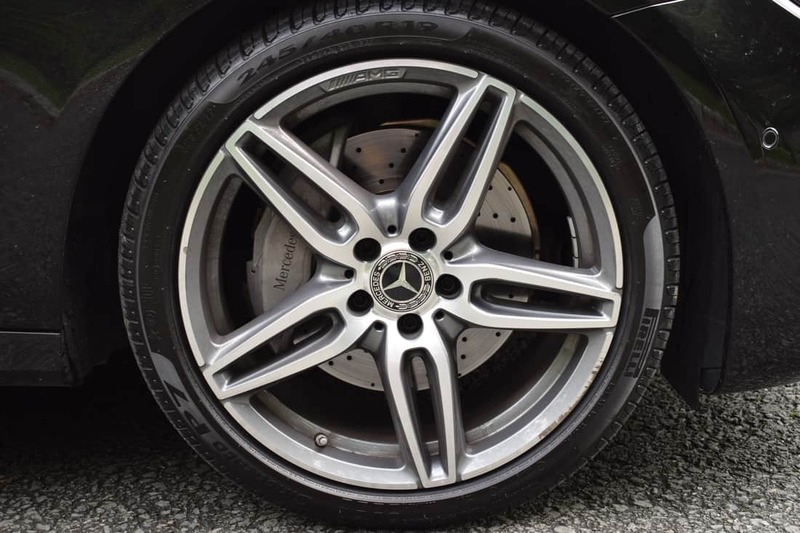 Standard equipment is hugely impressive and includes 19” AMG 5-spoke alloy wheels, 3-spoke multifunction sports steering wheel in black Nappa Leather with flattened bottom section, Active Park Assist with Parktronic, ambient lighting (64 colours, 3 colour zones, 10 colour schemes with alternating colours in dynamic mode), AMG bodystyling (comprising AMG front apron with chrome trim, sporty air intakes each with two louvres), AMG floor mats, AMG side sill panels, AMG diffuser-look rear apron with chrome trim, AMG sports pedals, analogue clock in centre console, polished aluminium belt line finisher, folding rear seat backrests, footwell lighting in rear, heated seats, LED high-performance headlamps, ‘Mercedes-Benz’ laurel wreath badge on bonnet, Nappa leather upholstery, navigation package with 12.3” media display, perforated front brake discs and front brake calipers with ‘Mercedes-Benz’ lettering, roof liner in black fabric, Seat Comfort Pack, sports seats with horizontal quilting of the seat cushions and sporty backrest for enhanced lateral support, upper part of dashboard in ARTICO man made leather in black, rear camera, electric windows front & rear, folding exterior mirrors, keyless start & stop button along with many other luxury features befitting of the Mercedes-Benz premium brand. 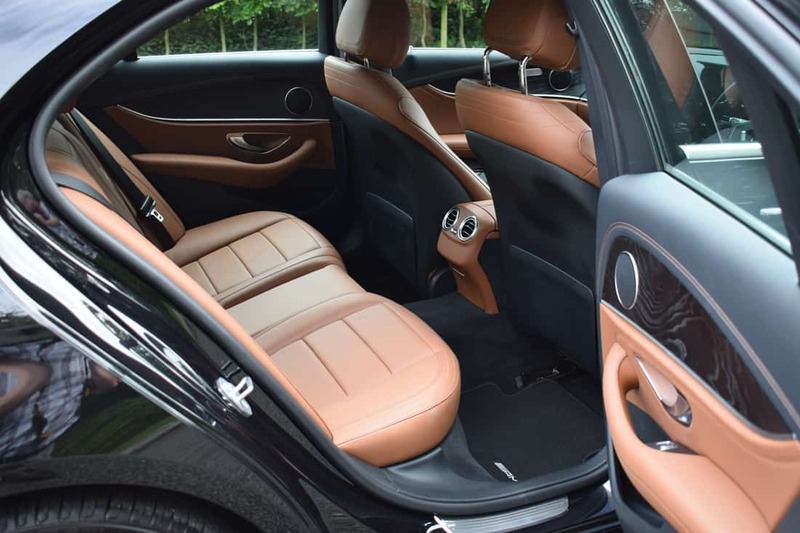 The interior of the E-Class, with its new seating concept and top-level value appeal, offers a heretofore unattained level of comfort, thus emphasising the modern luxury of Mercedes-Benz. Tangibly exclusive with a large selection of appointments, attractive colour concepts and fine materials (such as exquisite leather and open-pore wood trim), the E-Class invites occupants to just relax and feel at home in an ambience that has been tailored to their wishes. With the new E-Class, Mercedes-Benz have taken interior design cues from their flagship S-Class, with a minimalist approach to the dashboard layout. The fascia flows across the cabin, featuring four circular air vents in the centre, while excellent ergonomics ensure that every control that the driver requires is within easy reach. The E-Class is similar to the larger S-Class in terms of exceptional material quality, fit and finish, while the car’s advanced technology inside puts rivals to shame. There is lots of space in the rear and access is easy too, thanks to a 6.5cm longer wheelbase than the previous E-Class. 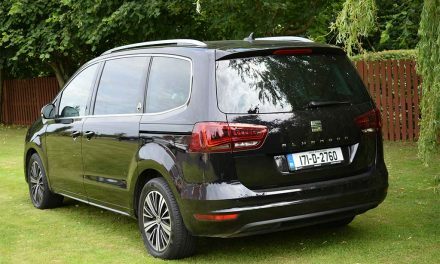 Headroom is also good, while a 540-litre boot means there’s lots of space on offer for luggage. 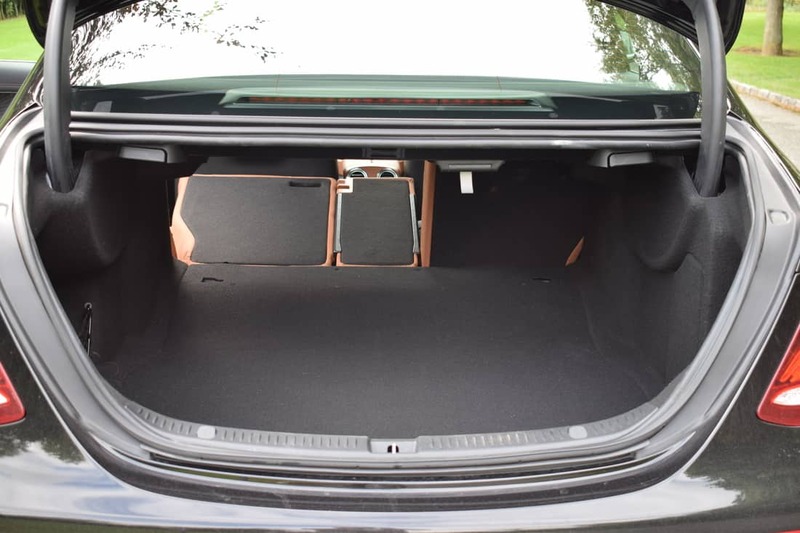 In fact the large boot in the E-Class saloon is the joint class-leader and the square shape of the boot opening provides easy access. 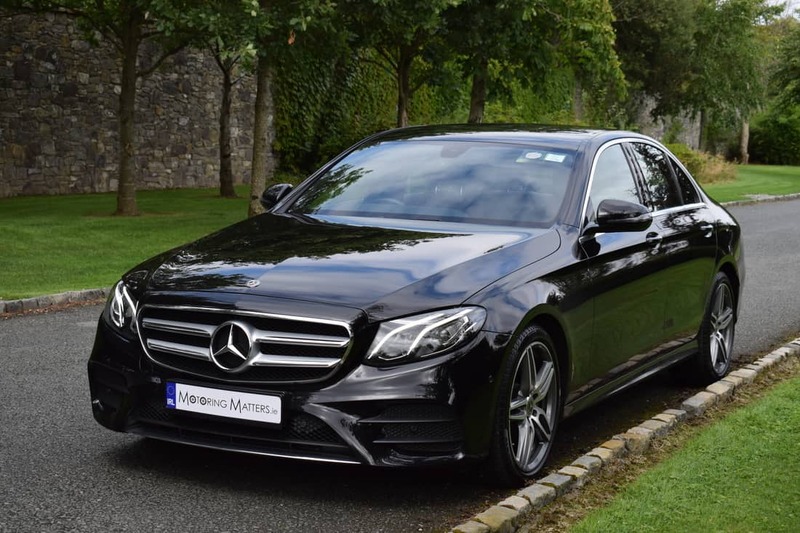 Overall, the wonderful Mercedes-Benz E-Class Saloon is a comprehensively equipped, efficient, upmarket and super-stylish car that is well worth considering if you’re in the market for a new executive saloon. It truly is a ‘masterpiece of intelligence’. *For cars registered before September 30th, 2018. 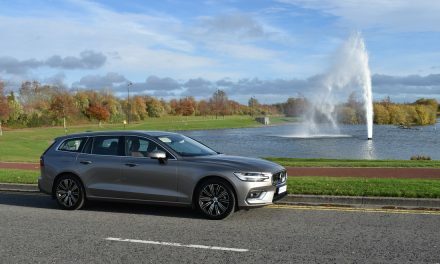 New Volvo V60 D4 Inscription Automatic – Full Review. 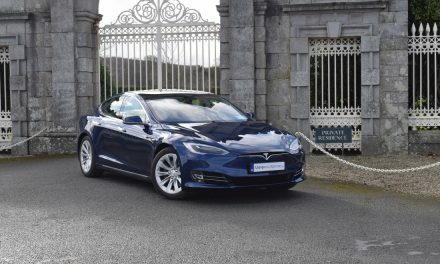 TESLA’S STUNNING ‘MODEL S’ 100D ON TEST.